View basket “RED WINE twisted satin sheen” has been added to your basket. What a Gem! 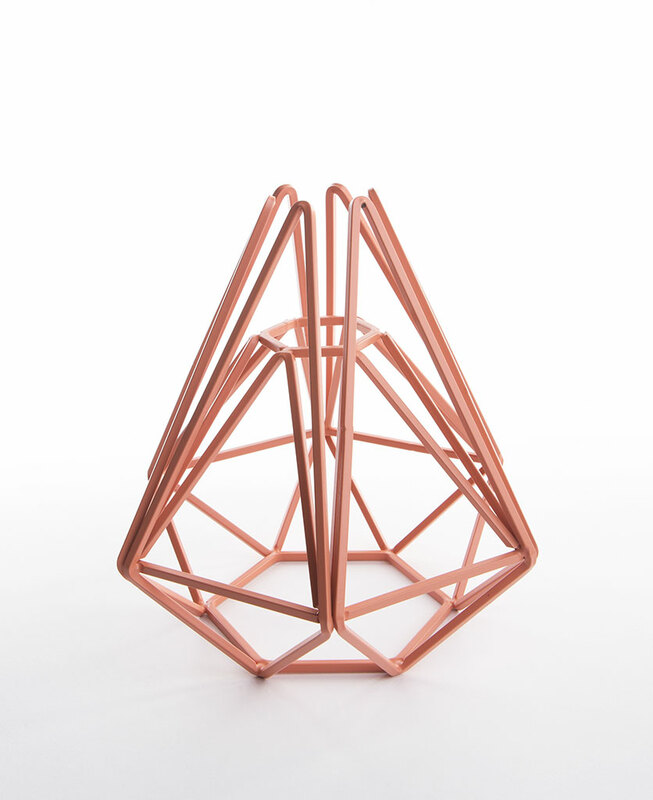 We just love this geometric cage light shade, it’s just the thing for adding a luxe edge to your spaces. This fabulous treasure is versatile to boot, it’s available in a stunning plethora of colours, and can be shown off as either a ceiling light or table lamp. It’s the ultimate accessory. 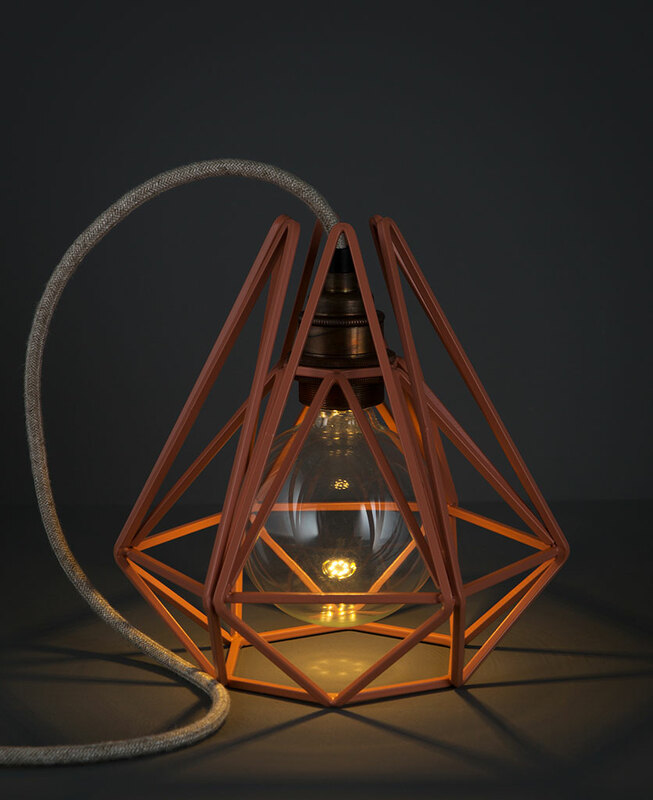 If you’re lusting after diamonds, our geometric cage light shade is just the thing. 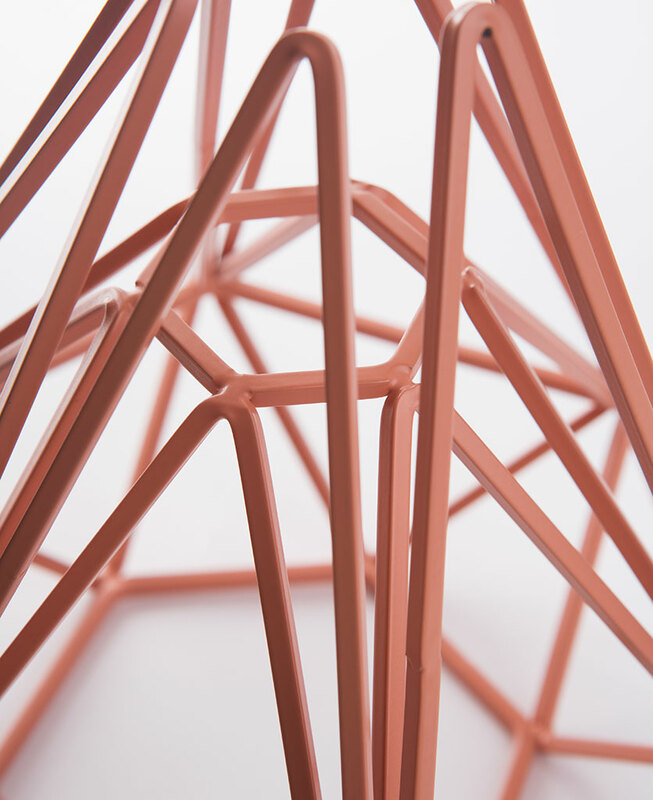 With a stunning multi-faceted design, this powder-coated steel shade won’t cost the earth either. It’s a winner! Each of our fabulous diamond cage light shades features a minimalist geometric design that’s perfect for making a statement in your interiors. What’s more, the steel cage casts beautiful shadows that add a beautiful ambience to your spaces, especially when paired with a concealed filament LED bulb. 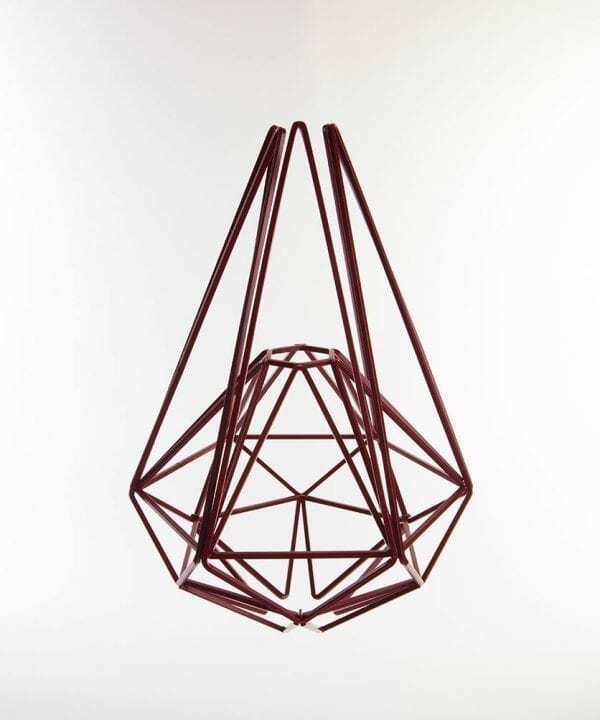 We love this geometric cage light shade pretty much anywhere. But they look particularly amazing suspended in a cluster from a multi-outlet ceiling rose, or as a chic and understated bedside table lamp. There definitely something we’re all lusting over here at D&R. 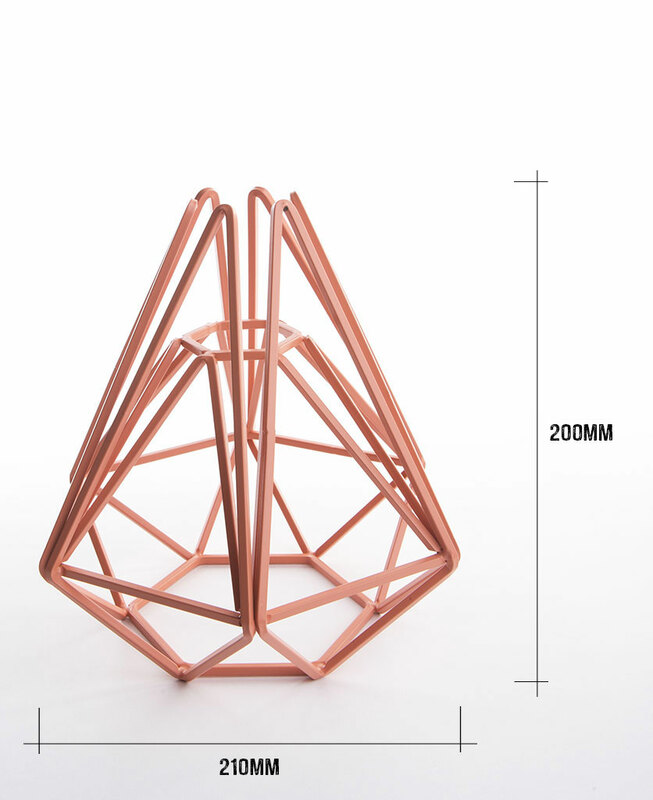 To create the light of your dreams, check out our lighting components section, where you’ll find everything you need to create a bespoke feature out of this geometric cage light shade. Alternatively, if you want to envisage exactly how your light will look, try out our customise your light feature, where a mock-up of your light will be built before your very eyes. You can even choose to have it pre-assembled by our trusty assembly team. What more could you ask for?